The “bad boys” of online betting sure know how to make a name for themselves (think Dennis Rodman’s basketball game for North Korean dictator Kim Jung-un), and they’ve done it again with their Paddy Power mobile app. Featuring a wide range of betting options, bonuses, special promotions and the ability to bet on sports, casino games, bingo and more, with PaddyPower mobile you will never miss a bet again. 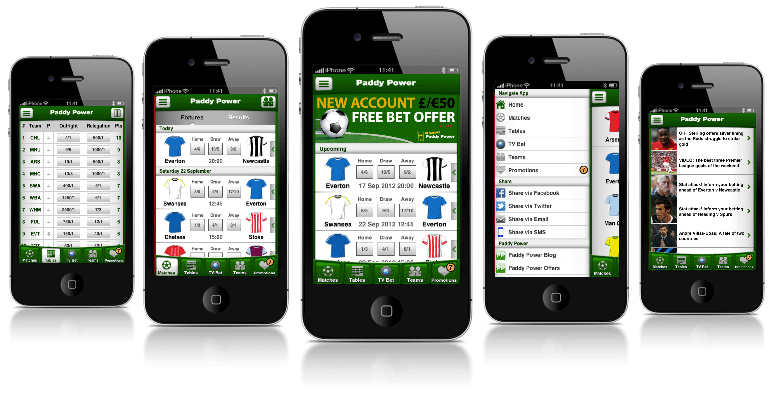 If you have an iPhone or Android device, you may have already downloaded the Paddy Power mobile app. But if you have an iPad, then you’ll definitely want to check out the company’s recently released sports mobile betting application that specifically designed to make the most out your tablet. Like their other mobile sites, the new iPad application for sports betting contains live updated prices and horse race streaming, instant live betting on thousands of sporting events, and most importantly, a logical and simple user interface. For lovers of casino games and the like, stop by the App Store to download the Paddy Power mobile casino (Paddy Power Vegas) and bring the thrills and bright lights of Vegas straight to your pocket with over 20 exciting blackjack, roulette, poker and slot games. Paddy Power will give you up to £20 free to bet on your mobile device when you sign up to be a new Paddy Power customer with their sports betting app. 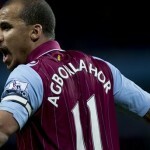 Their mobile casino, on the other hand, offers new players a 100% matchup bonus worth up to £100. While Paddy Power provides, by comparison to other mobile betting sites and apps, a rather limited number of languages and currencies, most paddypower mobile users will find the available options more than adequate. Funding your account and withdrawing your winnings is quick and easy when you use a credit card, debit card, PayPal, Neteller, Skrill, UKash, bank transfers or even personal cheques. Support is available around the clock in a variety of languages, by phone email and live chat. For well-rounded betting apps for casino, sports, lottery and bingo games that feature high-resolution graphics, a wide variety of markets and great cash and sign up bonuses, look no further than Paddy Power. Download the app here to get in on the action today.